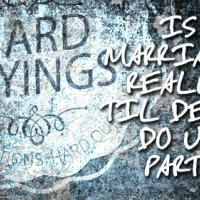 Hard Sayings: Is Marriage Really Til Death Do Us Part? Marriage is a blessing from God, where two become one. Divorce is not part of the equation for relationships where God is most important. Keep the Bible as the center of your marriage as instructed by Jesus. 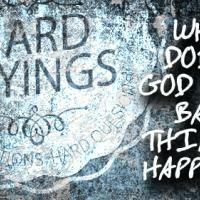 Hard Sayings: Why Does God Let Bad Things Happen? 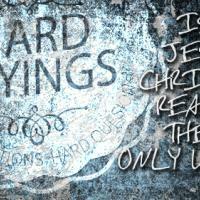 Hard Sayings: Is Jesus Christ Really the Only Way?